She was 91 years of age, but when I heard the news that extraordinary travel guru Gerda Rosner had passed away in late June I was still taken aback. You see Gerda was hardly your typical senior. Until her final days she told all who would listen that she had no intention of retiring. A nasty fall ended up leading to her departure from us - much too soon. I was certain she would still be in the business at the age of 100 and beyond. Gerda and I met about a decade ago and when she discovered that I was a journalist. regular communications ensued. She was great at email and continually sent me story pitches. I complied with many articles. She was most appreciative of each one, always calling to say "thank you." Photos were not emailed though. She snapped them the old fashion way or dug profile shots from her archives which I'd scan. We last spoke in the fall when she reminded me how I could reach her in Florida. Gerda was tapped in for sure, working on Linked In and Facebook. Gerda had been a worldwide health spa coordinator since 1965. She helped launch Weight Watchers in Montreal and opened her own company called the Happy Losers, which helped people lose pounds and feel good about themselves. The author of six cookbooks, she continued to organize winter trips to the Imperial Club in Aventura, Florida and fall packages to Canyon Ranch locations in Tucson, Arizona and Lenox, Massachusetts. Gerda was born in Berlin and was raised in Montreal. For many years she served as the president of ORT. She actually got into the spa routine thanks to her parents who would bring her to facilities such as Safety Harbor in Tampa and the now defunct Palm Air Spa in Pompano. Many years later, when she started Happy Losers, she introduced an incentive program for her “students.” Those who did well in their program were offered a reward package to Safety Habor. In 1974 Sam Edelstein, the owner of the Lido Spa, came to Montreal to meet with Rosner. Her reputation already preceded her and he was anxious to make a deal with her to serve as his local rep. An agreement was reached and clients began signing up by the dozens. Gerda had her list of regulars who returned year after year. They ranged in age from 60 to 90, with average stays of between three weeks and three months. Last winter she posted on her Facebook page: "Having a great time in Florida. I am sold out at Imperial Club and have a big waiting list. Hopefully people will book early next year so they won't be dissapointed again. I hate to refuse anybody to have a good winter. Going to celebrate my husband David's 96th birthday. Hurrah!" Gerda was relentless in terms of promoting her trips, calling and emailing me frequently. She was good on the computer and set up separate email addresses for Canada and the USA. 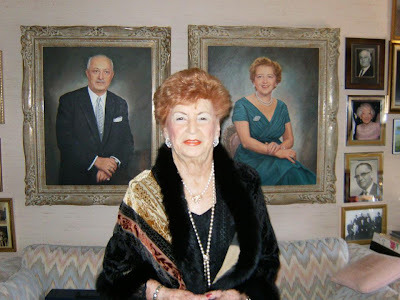 Gerda spoke endlessly about her second huband David Nencel (her first husband Marvin passed away more than 20 years ago) four children, 13 grandkids and eight great grandkids. Her son Myron has a particularly compelling story. In 2001 a construction site accident put him in a wheelchair for life. Rather than feeling sorry for himself, he moved on. Two years later he was elected to the North Miami Beach town council. He ultimately ran for mayor, serving one term in office. I think it is safe to say that there will never be another Gerda Rosner. City Montreal has rounded out its on air team for the new Breakfast Television Show, which will debut here towards the end of August. 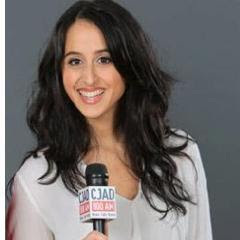 Laura Casella is leaving her post as morning reporter on CJAD to assume similar duties with City. Alexandre Despatie and Joanne Vrakas are the co-hosts of the new shoe while Wilder Weir has already been announced as the live eye reporter, meaning that he will be on location speaking with Montrealers from the city’s diverse communities. Casella will be on site for the day's top news story, just as she is with CJAD each morning. Casella has been with CJAD for six years, starting off as an overnight newscaster, then producing the Tommy Schnurmacher Show. For the last two and a half years she has been the morning reporter. She does have TV experience though, having worked part-time for CTV Montreal. I have been touting Casella as a logical choice for full-time TV duty for some time now. She is attractive, poised and an individual with good people skills. A graduate of Dante Elementary School and Laurier Macdonald High School in St. Léonard, I will make a pitch to have Laura broadcast live from one or both of those spots some time in the future. City Montreal executive producer Bob Babinski has built a strong team, both in front of and behind the camera, as he prepares to face off against the Global TV Morning News. “Breakfast Television will combine local news, weather and traffic with the biggest celebrity interviews, community happenings and lots of big ticket giveaways,” promises Babinski. 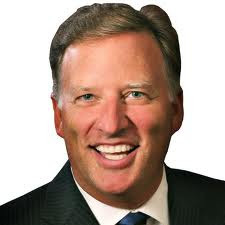 CJAD news and program chief Chris Bury now must find a replacement for Casella. How about bringing Dan Laxer back for that role? He has been a good soldier since being let go when Aaron Rand was hired. Laxer still co-hosts the Trivia Show and fills in on other shifts. This could also serve as an opportunity to take advantage of the de facto merger with TSN 690. Robin Flynn has actually been working for both CJAD and TSN 690 for the better part of a year, producing, doing sportscasts and traffic. She is a real talent and might be a good fit, although her first love is really sports.